YouTuber SmellyOctopus has over 21,000 subscribers to his YouTube channel, and about 2,000 on Twitch. In early January 2019, SmellyOctopus did a nine-minute, private stream where spoke into his microphone to check how new technology he was using affected it. It was automatically uploaded to YouTube, where the Content ID system flagged 30 seconds of just SmellyOctopus’ voice as belonging to a company called CD Baby. 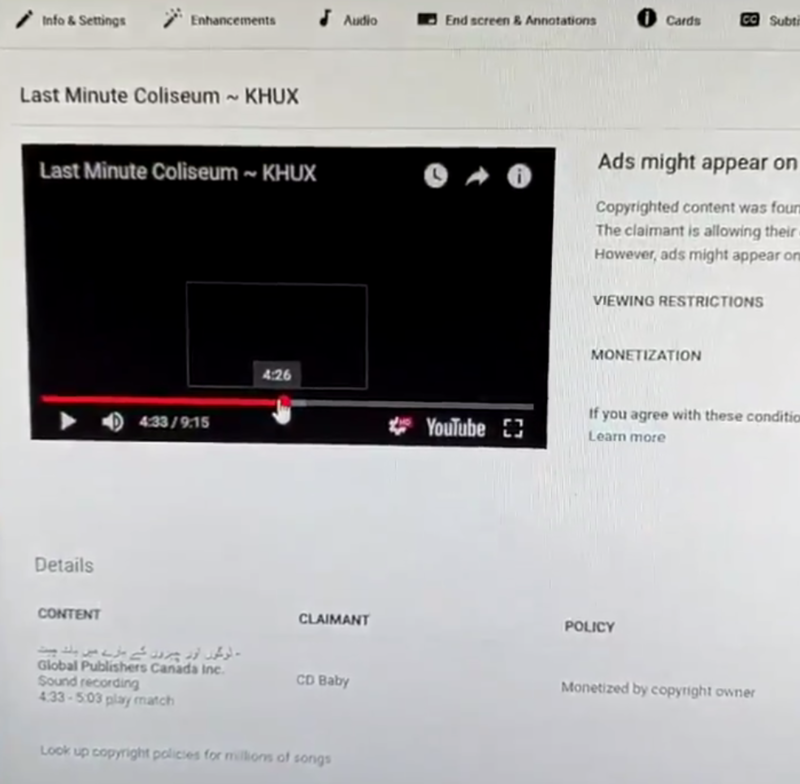 The claim sent to SmellyOctopus states that the claimant is CD Baby and that the “policy” applied is to monetize the video—in other words, CD Baby added ads to this nine-minute mic check and will get the non-existent revenue generated by that. When another user suggested—accurately—that one needed fix is real penalties for bogus copyright claims, Team YouTube decided to take all responsibility for what happened, saying that CD Baby didn’t initiate the claim, it was Content ID’s mistake. Content ID is even more automated than you might think. It doesn’t just check for copyrighted material in its database and send notices when it finds a match, leaving it up to the copyright holder to determine if they should make a claim. No, what happens is that, if a match is found, a default option chosen by the content company when it joined Content ID is automatically applied to a video before it’s uploaded. The first steps of the Content ID process are not intended to invoke the Digital Millennium Copyright Act (DMCA). This means that even the DMCA’s weak deterrents to false claims do not apply. 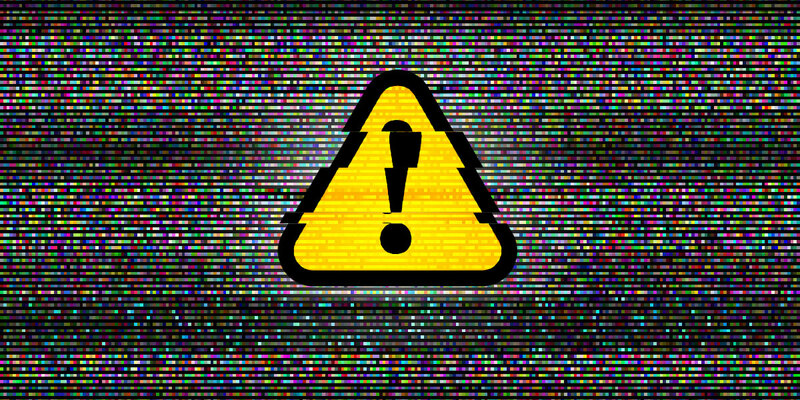 So companies face no negative consequences for Content ID matches hitting white noise, public domain works, or mic checks. If a user’s dispute of a Content ID claim is rejected, and they appeal, the user can end up with a “copyright strike.” Every YouTuber knows that copyright strikes can lead to you losing your whole page. This means that many users will prefer not to run the risk and will let bad strikes take down their content or let others monetize it. In a video about the ordeal, SmellyOctopus revealed that he’d gotten a Content ID match by another company with a monetization policy a long time before this instance. He disputed the claim, got rejected, and was “too afraid” to appeal it because, as he understood it, appealing meant the chance the video would be taken down and a copyright strike. So he just left it. “As a small content creator, or just a content creator in general, I don’t feel safe, I don’t feel my content is getting out there the way I want it to,” he said. This is how the system discourages users from speaking up. That fear isn’t a small thing. YouTube and its reach is so large that people would rather censor or accept ads that service someone else than dispute them. People will re-edit videos even if there’s a fair use argument just to avoid the process. In his video, SmellyOctopus goes on to say, “There’s a lot of fear when it comes to YouTube.” He’s right, but it shouldn’t be this way.